You can personalize this frame with your own Keystone memories! The whole of Colorado is a beautiful state, but Keystone in Summit County is one of my favorite places in Colorado. I love Keystone for the friendly, small town atmosphere. I love Keystone for the natural beauty, especially the mountains. Most of all, I love Keystone for the festivals. Keystone has great shopping and food, like Mary's Mountain Cookies, Inxpot Coffee, the Colorado Shop, and lots of clothing stores and sports equipment suppliers. I love the mountains. The sleigh rides in winter give such a beautiful view of the mountains covered in snow. In the summer, the scenic lift rides are fantastic. You can see for miles. My favorite thing about Keystone is the festivals. (I have not yet forgiven them for cancelling the Celtic Fest, but I probably will ... eventually. And there's always Estes Park in September.) Of the current festivals, it's hard to pick a favorite. Oktoberfest has great food and music. It's hard to beat bratwurst and apfelstrudel, followed by a polka to dance off the calories. The Mountain Town Music Festival has great songs, and the vendors are a danger to my wallet. So many souvenirs, and so little budget! The Bluegrass and Beer Festival celebrated 20 years in 2016. I'm not a drinker, so the beer doesn't interest, but the music is fantastic. Not being a drinking woman, the Wine and Jazz Festival doesn't interest me as much as the others, but the music is good and there are plenty of other people who do enjoy the wine-tastings. The River Run Village Art Festival has lots of pretties. In addition to the arts and crafts, you'll find good food. The Blue Ribbon Bacon Tour is a tasty weekend getaway. 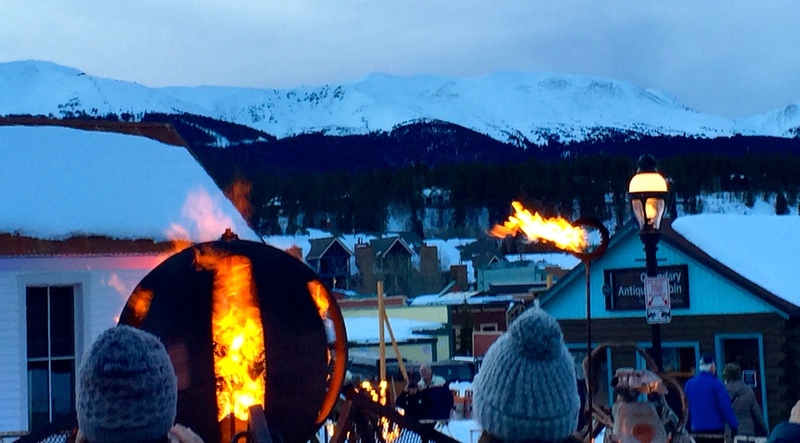 There's a lot to see and do in Summit County, but Keystone is special.